HONORABLE MENTION: Bayport-Blue Point 5-3, Beekmantown 5-4, Center Moriches 6-2, Cheektowaga 6-2, Cohoes 6-3, East Harlem-PSAL 6-2, Eden 5-4, Evander Childs-PSAL 5-3, Fieldston-AIS 5-2, Greenport-Southold 6-2, Highland 6-3, Johnson City 6-3, Malone 5-4, Marcellus 5-4, Nanuet 6-3, New Paltz 6-3, Peru 6-2, Ravena-Coeymans-Selkirk 6-3, Rye Country Day-AIS 5-3, Scotia-Glenville 6-3, Alfred E. Smith-PSAL 6-2, Stuyvesant-PSAL 6-2, Vernon-Verona-Sherrill 6-3. HONORABLE MENTION: Akron 6-3, Attica 6-2, Corinth 6-3, Dansville 5-3, Frankfort-Schuyler 5-3, Lackawanna 5-4, Lansing 5-4, Newark Valley 6-3, Salamanca 6-2, Saranac Lake 5-4, Sherburne-Earlville 7-1, Skaneateles 5-3, Syracuse Institute of Technology 7-1, Thousand Islands 5-4, University Prep 5-3, Utica Notre Dame 5-4, Waverly 7-2. HONORABLE MENTION: Avon 6-3, Batavia Notre Dame 6-2, Canajoharie 5-3, Cattaraugus/Little Valley 7-2, Cuba-Rushford 5-3, Dundee 7-2, Frewsburg 5-3, Harpursville 7-2, Panama 5-3, Perry 6-2, Pulaski 6-2, Salem 5-4, Sherman 6-2, Sidney 5-4, Spencer-Van Etten 6-3, Ticonderoga 6-3, Tuckahoe 4-4, Tully 5-3, Walton 5-4, West Canada Valley 5-3. 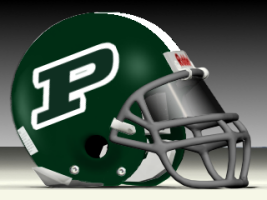 WINNING STREAKS (ALL CLASSES, 8 OR MORE WINS): Maine-Endwell 34, Hoosick Falls 22, Babylon 20, Randolph 19, South Shore-PSAL 14, Abraham Lincoln-PSAL 9, Alden 9, Aquinas 9, Cambridge 9, Cazenovia 9, Chatham 9, Cleveland Hill 9, Fredonia 9, Hackley School-AIS 9, Jamestown 9, Marlboro 9, Monroe-Woodbury 9, Queensbury 9, Rye 9, Rye Neck 9, Schalmont 9, Sweet Home 9, Syracuse CBA 9, Tioga 9, Watertown Immaculate Heart 9, Carey 8, Commack 8, Elmira 8, Farmingdale 8, Miller Place 8, Roosevelt-L.I. 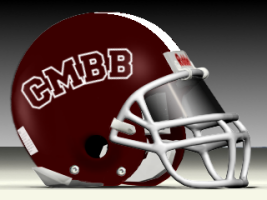 8, St. Anthony-CHSFL 8, St. Francis Prep-CHSFL 8, Unatego 8. 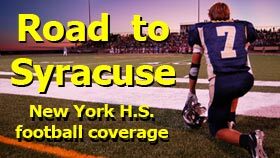 LOSING STREAKS (ALL CLASSES, 12 OR MORE LOSSES): South Glens Falls 16, Ithaca 15, South Seneca/Romulus 14, Bishop Grimes 13, Taconic Hills 13. Note: Early College ended its 28-game losing streak with a 36-14 victory vs. Yonkers.